After a month in the Placencia anchorage in southern Belize, we finally pulled anchor and headed north to explore some of the country's remote cayes. This was our view of Placencia as we pulled anchor. For many reasons, it was tough to leave. Our first stop was a day sail away: The Pelican Cayes. There is a young American couple with a newborn baby who have actually built a life for themselves on one of the tiny, remote cayes here. They dubbed their little island "Hideaway Caye" and have built a little restaurant and tiny home there for the three of them. We had a peaceful night's sleep here. 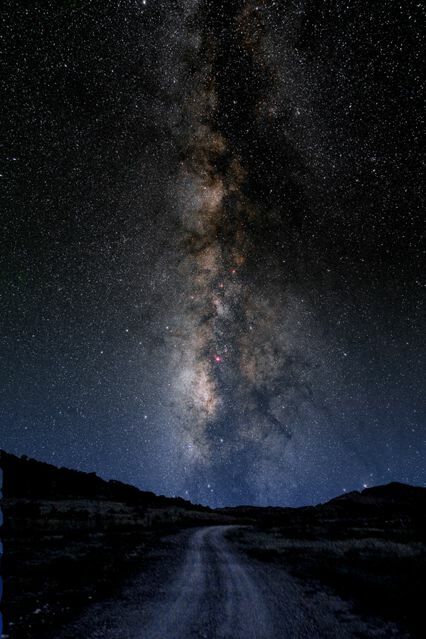 We had a spectacular view of the Milky Way, which seemed to cradle and protect our little anchorage like a canopy. Our view of the Milky Way wasn't quite THIS spectacular, but this NASA time lapse image gives you an idea of what we are actually seeing when we catch a glimpse of the galaxy spreading across our night sky. Star-gazing in these remote places has been one of the real privileges of our sailing adventure. Light pollution has obscured our view of most of the night sky in our big cities, and it's a real shame. another group of remote islands: Colson Cayes. Les Stroud did an episode of "Survivorman" on one of these remote Belize Cayes. These Cayes were completely uninhabited. We were on our own. Coincidentally, during this time I happened to be reading Vincent Bugliosi's memoir "And The Sea Will Tell," the true story of a young couple sailing exotic islands who were murdered and thrown overboard by another sailing couple who occupied a crappy, beat up sloop which was running low on provisions. After murdering them, they then scuttled their own boat, stole the nice, clean, fully stocked ketch, painted over the name and hightailed it on out of there. They also made a TV movie of the same name, starring Rachel Ward. The next day, we sailed to the third island group, the Robinson Cayes. We had fun poking around these islands. There were a couple of buildings ashore but some very troubled and hungry dogs guarded the tiny dock, so we regretfully sailed on. By this time our fresh food was running low. I believe we had one avocado, one apple and two potatoes left. And interestingly, our drinking water suddenly flowed brown and ugly out of the tap. Fortunately we have two drinking water tanks, so we were fine. But it's real out here. There's no messing around. After an uneventful night anchored at Robinson Cayes, we pulled anchor for our sail to Caye Caulker. But this was not just any sail. To arrive at Caye Caulker, we had to cross over the infamous "Port O' Stuck." Port O' Stuck is a thin, half mile spit that is very shallow, hence the name. Our boat depth is 6'3," which is relatively deep for a sailboat. Catamarans can get through no problem. We asked our experienced cruising friends who have sailed the area for their advice: should we try it? Or should we take the long, long, LONG way around? After taking a poll, half of them said: "Oh yeah, no problem! Go for it!" And the other half shook their heads in dismay. Well, being the adventuresome cruisers we are, we said, "What the hell! What's the worse that could happen?" So, as we nervously approached Port O' Stuck, we studiously and cautiously followed the waypoints and the markings along the way that showed the deepest part of the spit. Once we entered, there would be no turning back. Just as we were entering, two dolphins came out of nowhere and basically LED us into the spit. I squealed with glee. About 100 feet into the spit, we found our reverie short lived. we could not believe our eyes. A giant BARGE was entering the spit from the north side. There was only room for one boat at a time! I ran to the VHF and tried to hail the barge to ask him to wait and let us continue through. They ignored us and only seemed to gun it faster. As if this were not enough, we discovered just as we entered that our depth sounder was suddenly non-functional. So we would be crossing the thin, very shallow Port O' Stuck at the exact time as a large, wide barge. Ah, well. We had no choice but to proceed and hope for the best. What more could we do? Now that Port O' Stuck (and that giant barge) were behind us, all that stood between us and the tourist town/anchorage of Caye Caulker was beautiful Caribbean-blue water, a 14 knot beam reach breeze and sunny skies! Sailing here was a dream come true. This is was the actual horizon on the way to Caye Caulker. We're now safely anchored at Caye Caulker with several other sailboats, including Capria, Jock's Lodge, Blue Shift and Twilight. Caye Caulker is often called "funky," as this photo from 2007 displays. Yeah. We should be here for 1-2 weeks as we look for our weather window to continue northwards through Belize and into the Mexican Yucatan. I'm a bit jealous of this stop. I took a day trip by catamaran to Caulker when I vacationed on Ambergris. Loved that little island. Wished at the time we had stayed there instead. Always wanted to go back but haven't made it yet. Be looking forward to more photos.